I love how safe I feel when driving my Volvo. Too many large repairs for the age of the car and mileage (125,000). Complete ac, rusted axles (weird) are a couple repairs. I like the safety of the vehicle. Love the leather interior. Do not like the way the center compartment between seats opens - sometimes just the top portion and sometimes the top and the tray under it opens. Never know which I am going to get. I would rather be able to get the one I want - very frustrating. Do not like the emblem at all. Car is comfortable during long trips. Seats are nice. I drove a 2001 Toyota for 200,000 miles before I have any kind of a major repair and I think Volvo is falling short on that piece of the picture. 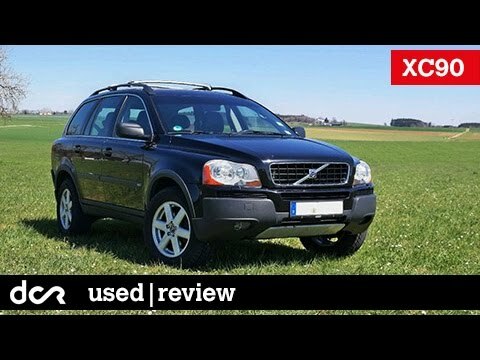 2005 Volvo xc90. 160, 000 miles and still going strong! This car has been incredibly reliable for the entire time I have owned it. I feel very safe driving my children long distances in it because of it is outstanding safety features as well as it is reliability. The vehicle is very comfortable for the driver as well as the passenger. The seats (front and back) are very spacious. The front seat bottom and lumbar heaters are my favorite features. Cassandra - as she has been named - is a wonderful and fun automobile to drive. Radio unit stopped working. This takes out so many features - but the part cost way to much to put out to replace on a 2005 car. Love the car. Great driving. Repairs are extremely expensive. Does not break down often. The headlights burn out frequently and again are expensive to replace. ON CERTAIN PASSENGER AND SPORT UTILITY VEHICLES, DUE TO AN ERROR IN THE FACTORY ASSEMBLY INSTRUCTION, THE B+TERMINAL MAY BE IN CONFLICT WITH THE STARTER MOTOR SOLENOID. IF THIS OCCURS, THE CONFLICT BETWEEN THE B+TERMINAL AND THE STARTER MOTOR SOLENOID MAY DEVELOP INTO A SHORT CIRCUIT OF THE BATTERY CABLE TO GROUND. SMOKE MAY APPEAR FROM UNDER THE HOOD AND IT MAY BE IMPOSSIBLE TO START THE CAR. IF THE SHORT CIRCUIT HAPPENS DURING DRIVING, ELECTRICAL POWER COULD BE LOST RESULTING IN THE WARNING LAMPS BEING DEACTIVATED. AN ELECTRICAL SHORT COULD RESULT IN A FIRE. DEALERS WILL INSPECT AND INCREASE DISTANCE BETWEEN THE B+TERMINAL AND THE STARTER MOTOR SOLENOID BY ADJUSTING THE TERMINAL. THE RECALL IS EXPECTED TO BEGIN EARLY DECEMBER. OWNERS SHOULD CONTACT VOLVO AT 1-800-458-1552.